Or maybe Cabernet Franc with Christmas? Whatever….! For most people in the Christian world that magical and unique time is almost here again. Chaos and panic is all around us as we prepare for the big annual family festival. So by now you have decided what to eat? And drink? Which decision came first? Usually at Christmas, the food decision is made first and then the rest follows from there. Christmas is a special day and time so maybe it deserves a special wine? As you approach the bottle shop and the Cabernet Sauvignon, Shiraz / Syrah, Merlot and Sauvignon Blanc signs flash at you everywhere, it might be worthwhile to seek out something different. Have a look for the princess of red wines – Cabernet Franc. But just before you rush home and announce your fantastic achievement to an expectant and excited family, hoping that you have picked an absolute bargain winner wine, it might be worthwhile to first check what’s on the menu to avoid any major embarrassment. And despite what the “die-hard” beer and spirit drinkers want to tell you, yes pairing a nice wine with the right food does a more enjoyable meal and experience!! 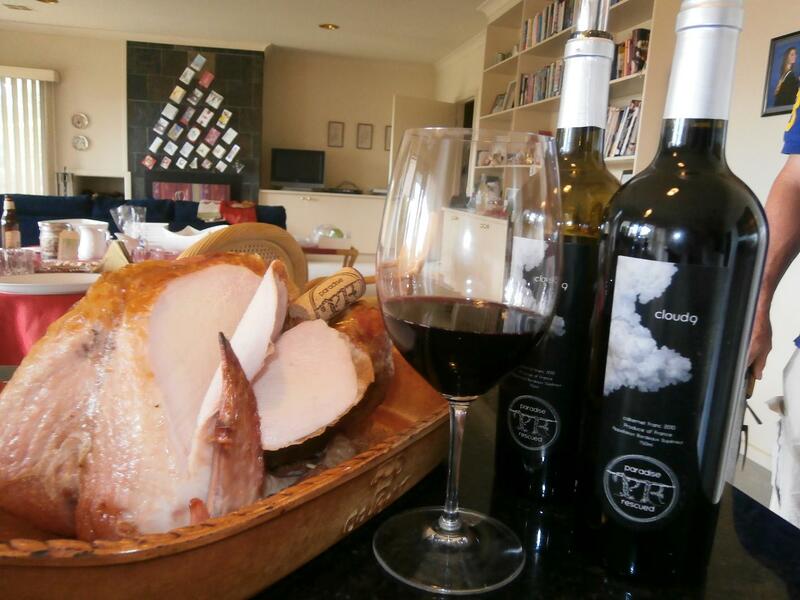 So let’s tick a few Christmas food-pairing boxes for Cabernet Franc! First up, the medium heavy body of Cabernet Franc with gentle tannins and an excellent fruity nose is a perfect combination with roast white meats like turkey, chicken, pork and veal. I love it also with roast duck or beef – but keep the sauce light. Sliced duck breast – Magret de Canard is divine with CabFranc. Maybe you are eating something cold? Perhaps a whole baked salmon with a little spice added? Better still, how about BBQ’ed salmon or tuna? The long often zingy finish of a Cabernet Franc will work again. But caution, anything still with a salty taste to it such as oysters….better to go with a sharp more acidic white wine!! Vegetarian dishes are also good with a Cabernet Franc as many cooler climate CabFranc’s have a so called “bell pepper taste”. And similarly if your Christmas is a budget affair but you still have enough money left over for a great wine, pizza and Cabernet Franc pair up well too. 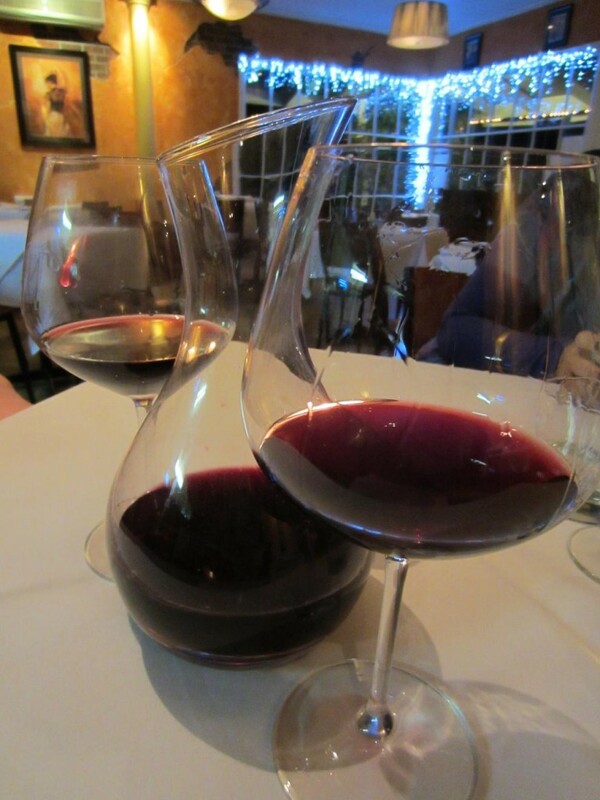 Cabernet Francs are growing in popularity and they are the food wine of choice. So it may be hard to find now, but you and your family will enjoy the reward from getting one. Watch out, there will be many more in the future! And if your Christmas is celebrated in a warm climate, take care with the temperature of your red wines. 16–18oC (65oF) is excellent so if it is 35oF outside, keep your cool!! A little elusive, very exclusive!